This little girl was soooo cute. 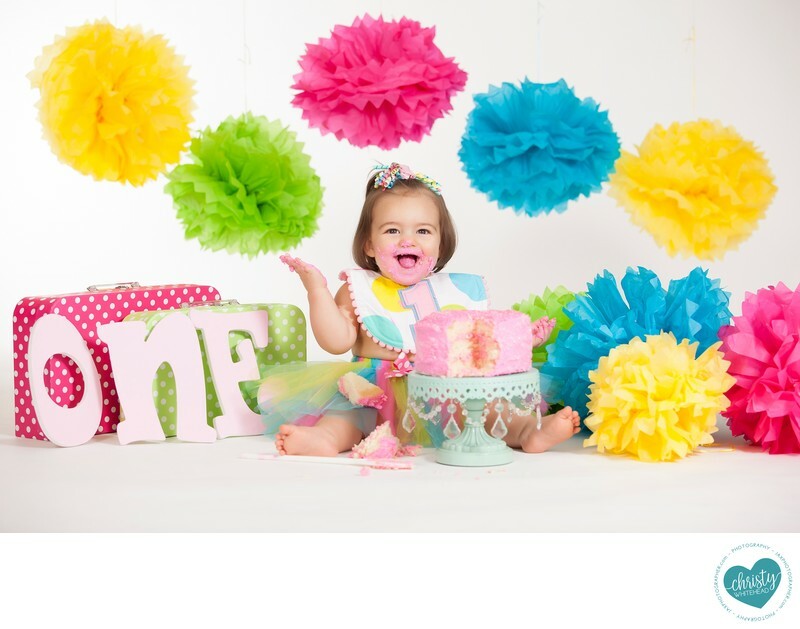 I photographed her all year long and of course we ended with the cake smash. Momma loved tons of colors, yellow, lime green, hot pink, and blue. And the little girl wore a little tutu and a bib.